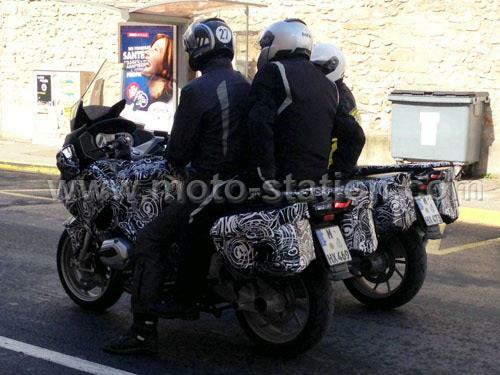 Four new bikes have been spotted testing in France by French blog Motomag.com – and handily the BMW test team opted to cover the bikes in garish black and white swirly decals which meant they were easily seen. If they had just been painted black it’s highly doubtful anyone would have noticed! 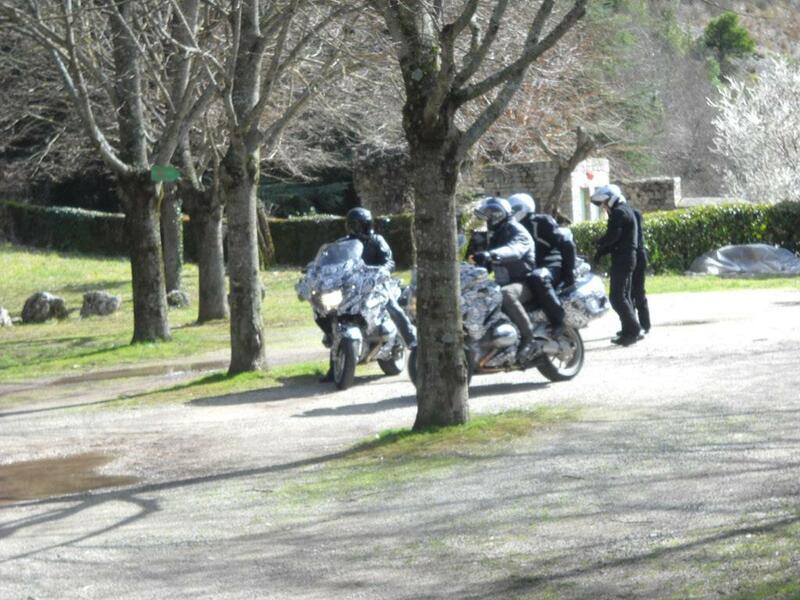 We can see from the images they bike has the new engine from the GS along with the swingarm and shaft drive unchanged. 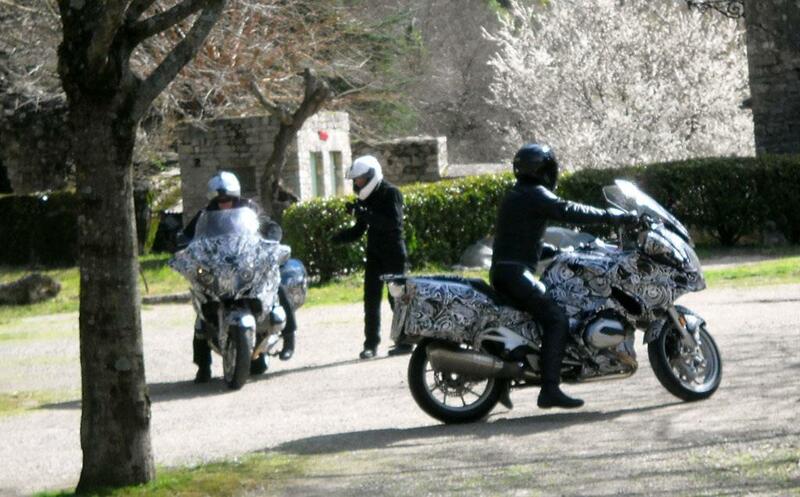 The exhaust has a different silencer to the GS but this may not be the fully-finished production version.